As a native of the Millville-Vineland, New Jersey, area, Donald Huston, DO, cares deeply about the health of the community. 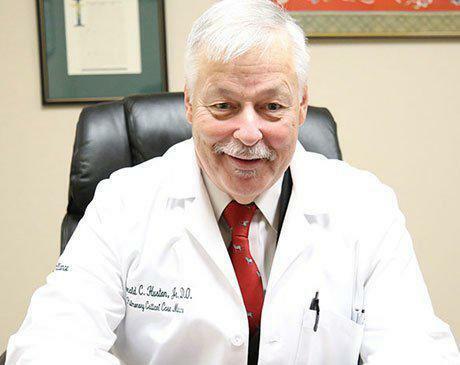 A fellowship-trained and dedicated physician at Medical Alliance of Southern New Jersey in Vineland, Dr. Huston believes that health is his patients’ most important asset, and he has vowed to do all he can to protect it. Dr. Huston practices internal medicine and specializes in pulmonology and critical care medicine. He received his medical training at the University of Osteopathic Medicine and Health Sciences in Des Moines, Iowa. He remained in the area to complete his internship and residency at Des Moines General Hospital and then completed his fellowship at the Chicago Osteopathic Hospital. Dr. Huston has been committed to advancing the health of the residents of southern New Jersey for over 30 years. His dedication to health care and the medical field is evident by the many leadership roles in which he has served, such as the first chief of staff at HealthSouth Rehab Hospital, the president of the Millville Hospital medical staff, and the vice president and the president of the medical staff of Newcomb Hospital. He has also sat on the New Jersey Board of Medical Examiners for 10 years.